If VR FPS Farpoint has you suitably hyped up for PlayStation VR then you can't miss this frankly ridiculous deal from GAME. The bundle includes Farpoint, Resident Evil 7, 2 months of NOW TV movies and the headset itself for the RRP of the headset, £349.99. That means everything else is basically free. Yep, zero pounds for two of the best games to play in VR and you can pre-order for tomorrow's release date. You'll still need the PlayStation Camera to run the PS VR and dust off those Move wands. 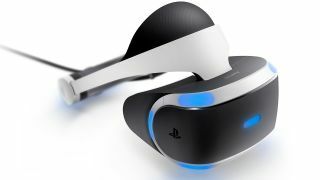 For the best pricing on accessories, check out our best PS VR deals.